The Hanoi-based developer is seeking opportunities to expand real estate business in the northern port city. The private airline plans to start international flights to Singapore and Japan in the next couple of months. Bamboo Airways has confirmed an order for 10 787-9 Dreamliners valued at $3 billion according to list prices. The Prime Minister has formally approved the proposal of the Ministry of Transport on the licensing of air transportation business for Bamboo Airways, a member of the FLC Group. 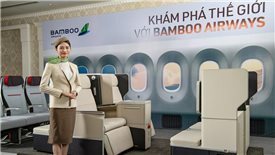 The new airline Bamboo Airways, owned by FLC Group, has just announced that its first commercial flight will be moved to the fourth quarter of this year other than on this October 10 as initially scheduled. 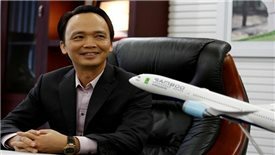 Bamboo Airways' first flights are scheduled in October and the airline plans to open 37 domestic and international routes in the near future. The number of airplanes ordered and purchased by Bamboo Airways is beyond the guidelines approved by the Prime Minister as well as the application for air transportation business license of the airline remains pending. 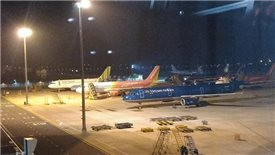 A series of resort property projects that FLC Group has been developing will enable Bamboo Airways to become more competitive in Vietnam's rapidly growing aviation market. According to the recent resolution of FLC Group’s Board of Directors, the Group plans to increase Bamboo Airways' charter capital by $26 million, an increase from $30.4 million to $56.4 million.